Transitioning from high school sports to college–level sports is no easy task. However, some freshmen found an easy transition and maintain a high level of success. 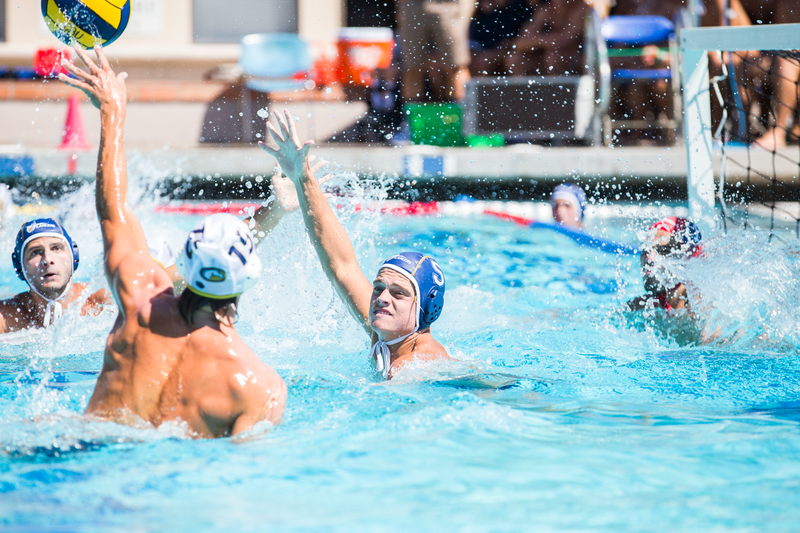 Playing in all of the men’s water polo games, Hunter Barnett, business administration major and attacker, has helped his team achieve a 21-10 record while scoring 30 goals. Barnett said he believes the level of play is different from high school. While still new to playing at the college level, Barnett said he has much to learn and seeks guidance from upperclassmen and his coaches. While some freshmen help their team in the pool, others have found success on the field. Ari Coronado, freshmen kinesiology major and forward, has played all but one game for women’s soccer this season. Coronado made a difference for the team when she came off the bench, helping the team win 12 games this year. Having three years left until she graduates, Coronado has big plans for the remainder of her time with the Lancers. While some athletes found success during their first semester at CBU, other incoming players will find his or her success next semester . Maddie Schwegler, freshman business administration major and utility player for women’s water polo, said she is seeking guidance from coaches and upperclassmen before her season starts in the spring. Meanwhile, freshmen athletes will seek guidance from upperclassmen and their coaches and look to improve as players.